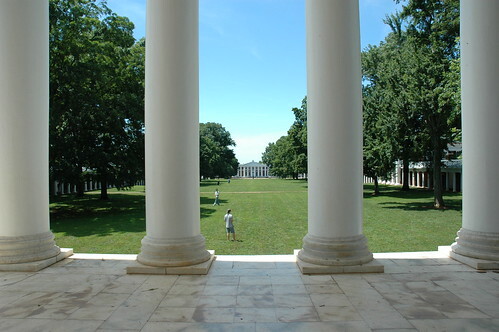 more photos of the University of Virginia, campus and buildings designed by Thomas Jefferson. These were taken on the sunny day following the night I took the previously-posted set of night photos. .
night photos at University of Virginia, old campus — Jefferson’s “academical village”.